The Team is led by Mandy Timmins – Innisfree’s Registered Manager – who holds her Registered Manager’s Award and is in turn registered by the Care Quality Commission. 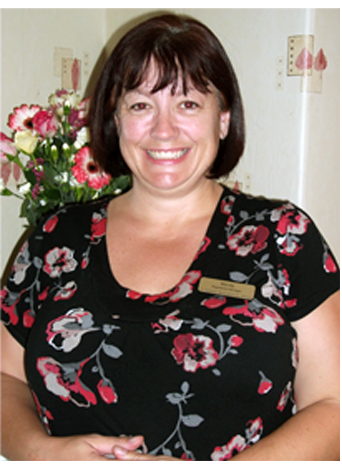 Mandy has tremendous experience in providing care for the elderly and is supported by her senior team – Zoe, Sandra and Sheena – and a full and dedicated team of carers, cooks, domestic support, maintenance and an administrator, all of whom strive to provide the best support and environment we can for our residents. All 16 staff in our care team are the main point of contact day to day for all our residents. Each member of staff has been chosen based on their abilities to work with our residents in a supportive and sympathetic manner. Prior to joining, all our staff are vetted through the Disclosure and Barring Service and a stringent reference process. Once each member is part of the team, the work starts to provide the level of training to support them in their work as an effective carer.